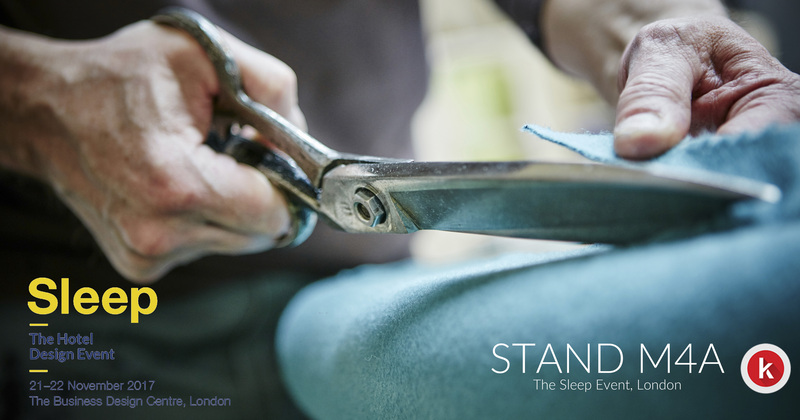 Knightsbridge Furniture, the award winning British furniture designers and manufacturers, will be unveiling their new range Dizzi at Sleep 2017 (Stand M4a). Sleep (21-22 November), held at the Business Design Centre Islington, is Europe’s most exciting hotel design, development and architecture show. Inspiring hotel interiors across the globe the show is orchestrated to ensure the best combination of newcomers, established names, larger manufacturers and bespoke artisans. In recent years Knightsbridge Furniture have collaborated with some of the UK’s most exciting furniture designers. Alys Bryan is the latest to join the ranks with her soft furnishing range Dizzi. The charming collection comprises of a compact lounge chair and coordinating upright chairs. Using their experience of manufacturing furniture for healthcare environments, Knightsbridge are breaking new ground by expanding into the world of contract furniture for high wear environments, including hotels, restaurants and offices where pieces will exude both style and comfort. Dizzi’s designer, Alys Bryan, has established herself as an independent designer, having ten years of experience designing contract furniture in both the workplace and hospitality sectors. As an upholstery specialist, through a process of thoughtful material selection, combined with lean manufacturing principles, Alys’ signature design style yields pieces that mix timeless elegance with a modern twist and her passion for Mid-century design often sneaks in. Dizzi’s sweeping upholstery curves cradle you in comfort, with a seemingly simple form that is both welcoming and joyful. The wood frames of Dizzi create wonderful shadow lines with unique radiused frame joints. High quality details also include double top stitching on all upholstery seams. The compact footprint of the Dizzi Lounge Chair makes it a versatile piece, perfect for the bedroom, lounge and bar or a modern breakout space. The Dizzi Upright Chairs are ideal as dining chairs with deliberate consideration of the arm height and positioning to allow the chair to sit neatly under a dining table. Thanks to the extensive choice of fabric and timber finishes available, including customers own material, Dizzi’s timeless design and style lends itself to a variety of interior schemes. Knightsbridge are thrilled to announce these new designs as the Dizzi collection celebrates both the visual impact of the timber and their manufacturing capabilities. Knightsbridge Furniture can also be found on a number of other stands at Sleep and to celebrate this visitors can enter the Knightsbridge Furniture Sleep competition. Simply visit each stand below and identify which Knightsbridge product is displayed to be in with a chance of winning a number of fabulous prizes including an Apple watch.